Hi guys! The sick kitty saga continues. We took him back to the vet on Saturday after two days of subq fluids three times a day, and the vet decided that she wanted us to continue the fluids for another week. Giving him those fluids was not as easy as the vet made it seem. I've stabbed myself with the needle more than once, and most of the time, he squirms around to the point that the needle comes out and I have to restick him. At least he doesn't hold grudges; I still get my kitty hugs! 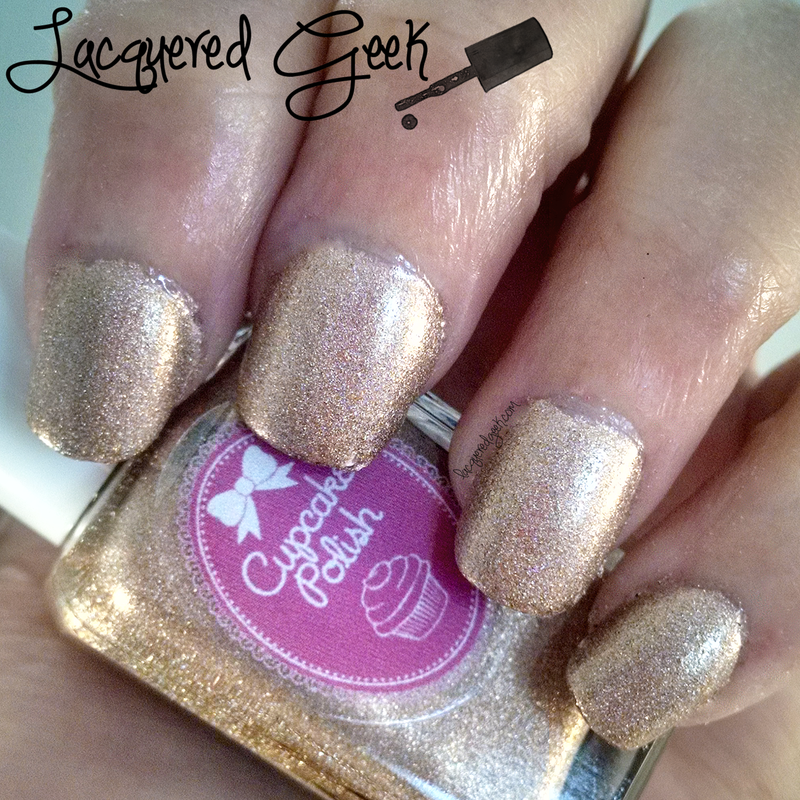 Now to the polish... A couple of months I won a gift certificate to Cupcake Polish from a giveaway at The Mercurial Magpie. 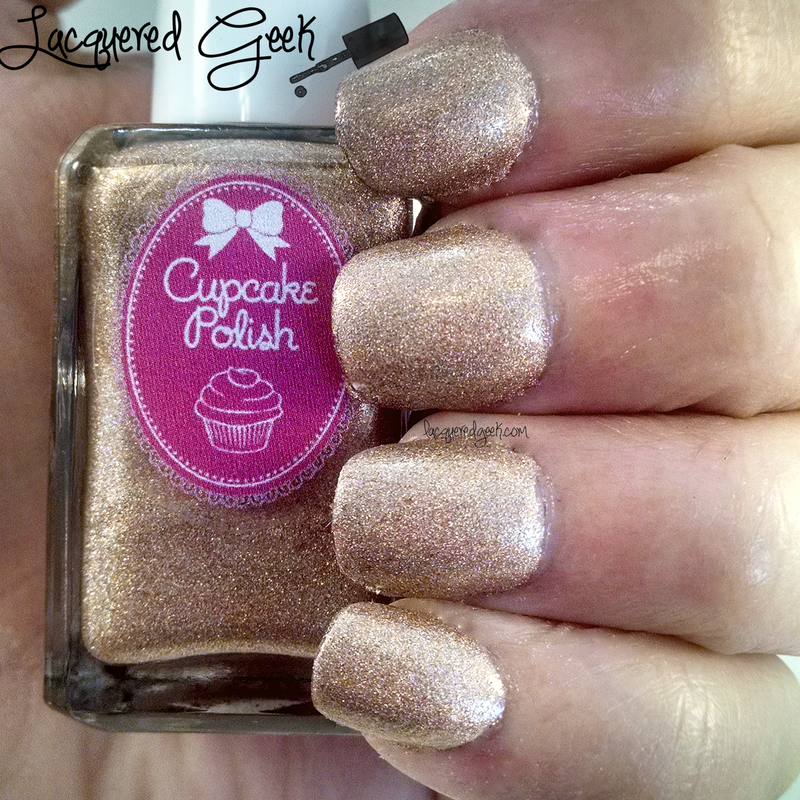 I was excited to win this prize because I had not tried Cupcake Polish yet! 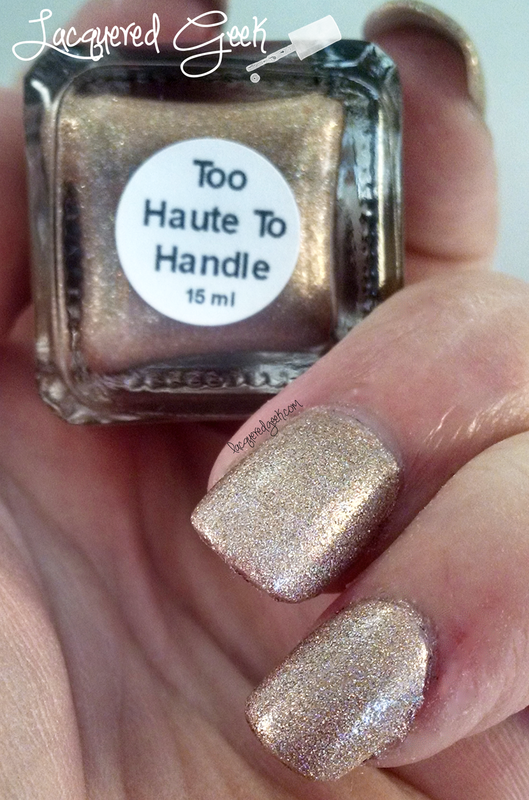 Too Hot To Handle is described as a "dark gold holographic polish with lots of gold shimmer." The biggest thing that I noticed about the color is that it is nothing like the swatch photos on the store's site, or other photos that I'd found online. All the other photos showed the polish as a darker copper-bronze color. The formula was outstanding. It was very easy to apply and highly pigmented. I used two coats for these photos, but I could have easily gotten by with just one coat. Here's a shot with the flash to show the sparkles! 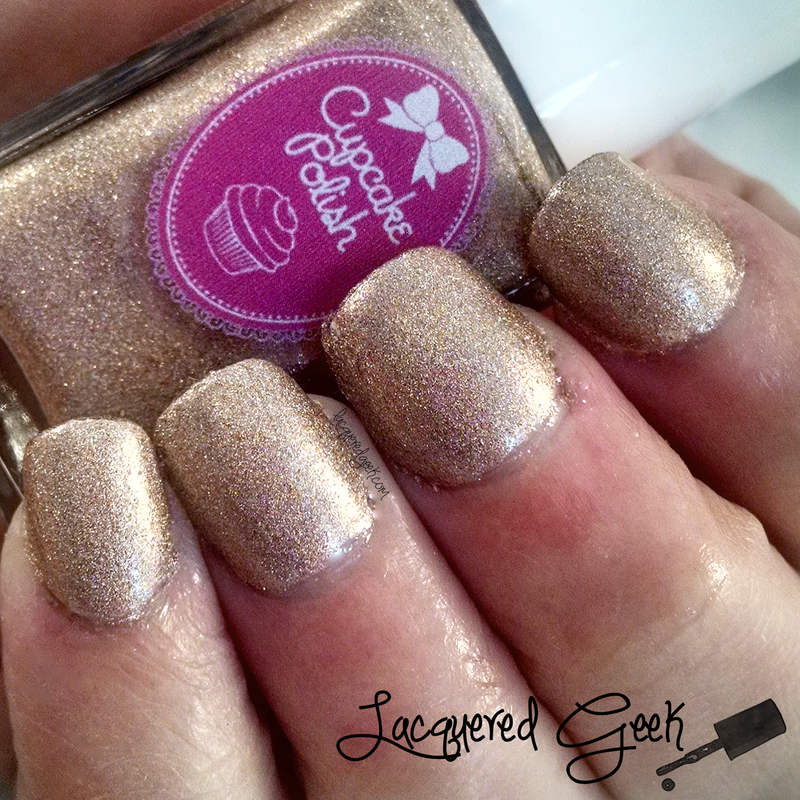 Overall, I was very impressed by my first Cupcake Polish. Although I would have loved it if the color had been more of the coppery one that I saw online, I do love the golden shimmery shade that I ended up with. The formula was fantastic as well. 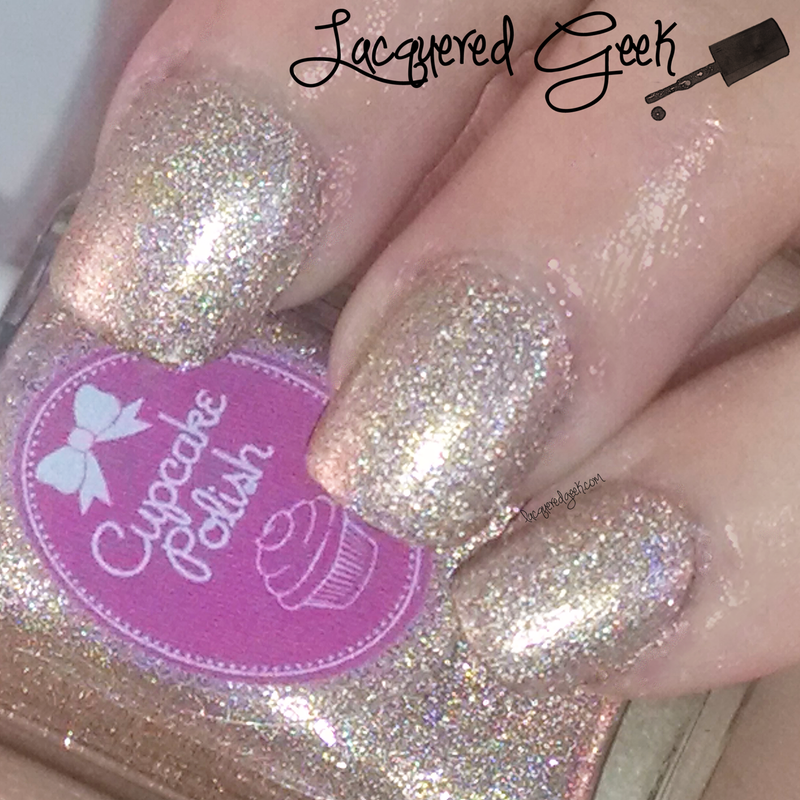 You can pick up Too Haute To Handle or other Cupcake Polishes from the Cupcake Polish site.